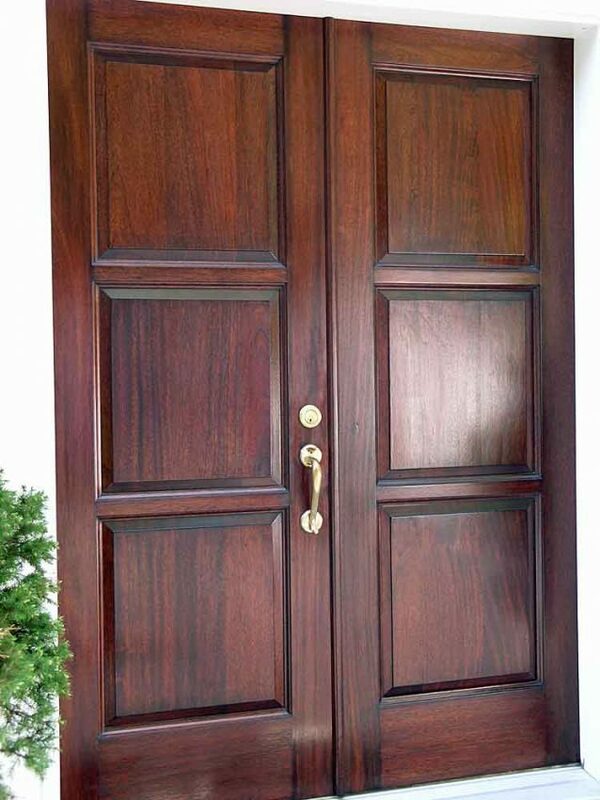 Refinishing this mahogany front door was pre-scheduled so that it could be removed and worked on at the shop as quickly as possible. During this time the opening was boarded up with plywood. Once at the shop, the hardware was removed and the old sun damaged finish on the exterior side of the door was stripped. Repairs were made to some open shrinkage cracks and everything was sanded. 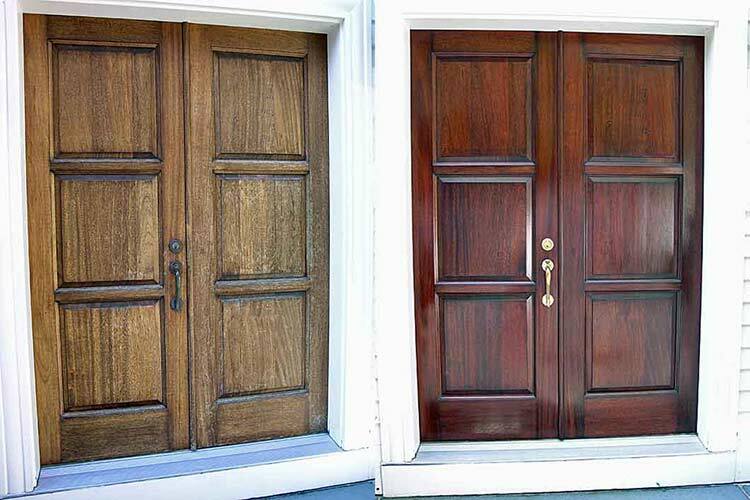 The door was then colored with a light fast stain and sealed with four coats of exterior spar varnish with a UV protector. This finish was also applied to the top, bottom, and side edges. The brass hardware was polished, re-installed, and the door was brought back to the client’s home and re-hung. This exterior front door was refinished for a New Preston CT client.